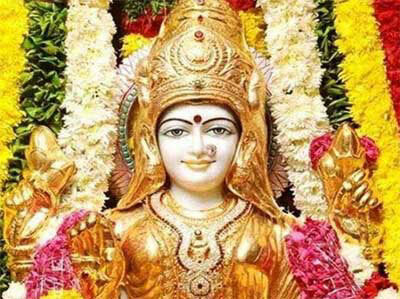 As per Lakshmi Tantra, Goddess Lakshmi has four female attendants. They are Lavanya, Subhaga, Saubhagya and Saumanasy. All four attendants have four arms. They are beautiful and have the color of the inside of a lotus. In their hands, they carry branch of the amalaka tree, lotus, pitcher and a lotus banner. The four companions are seated in lotus posture and they gaze at the face of Goddess Lakshmi. The mantra are invoked for finding hidden wealth, financial defeat of enemies, to find hidden treasure and to get the blessings of Ma Lakshmi.